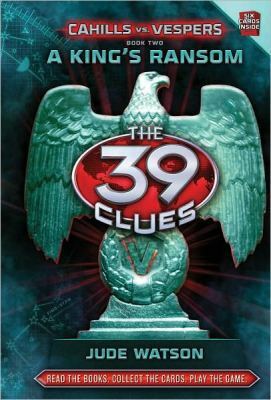 The hunt for the 39 clues is well and truly over but Dan and Amy Cahill are still into things way over their heads. Seven members of their extended family are being held hostage by a sinister organisation known as The Vespers. The Cahill’s want nothing more than to bring the hostages home safely but to do so means hopping through the increasingly difficult hoops set by the person known only as Vesper 1. They have stolen artwork, found an ancient book and now have to track down a long-lost map. This search leads them on the path of Nazi’s and spies and in the process they find friends where they least expect to. The action and adventure don’t really let up in this book. Amy and Dan are still mostly on the same page, though Dan is keeping something from Amy and at times she feels he is slipping away from her and she has no idea how to reach him. This fracture in their relationship adds another dimension to the already complex family dynamic. The different family members who now work together don’t always get on as they still retain their very distinctive family traits. Also the involvement of Evan, a complete outsider changes things a little, in a good way. The addition of a couple of characters that we thought we’d seen the last of is a nice touch which in the process adds a whole other layer to the mystery of the Vespers and just what is going on. This installment felt a little lagging in the middle but that could be because, for all that the story and challenge are different, we have been here before. However it picked up and by the end I have to say I was left wondering, as always, what was going to happen next. I am definitely looking forward to the next installment. ← The Littlest Angel Lily has a Secret & The Littlest Angel Lily gets her Wings.